There is a division of labor with respect to the spread of ideas. Philosophers, economists, journalists, and the like specialize in identifying, conveying, and applying the ideas on which human life, political freedom, and prosperity depend (or at least they’re supposed to). Other people work in other vital areas, creating and distributing the material goods and services we need in order to live and thrive—food, medicine, technology, and so on. 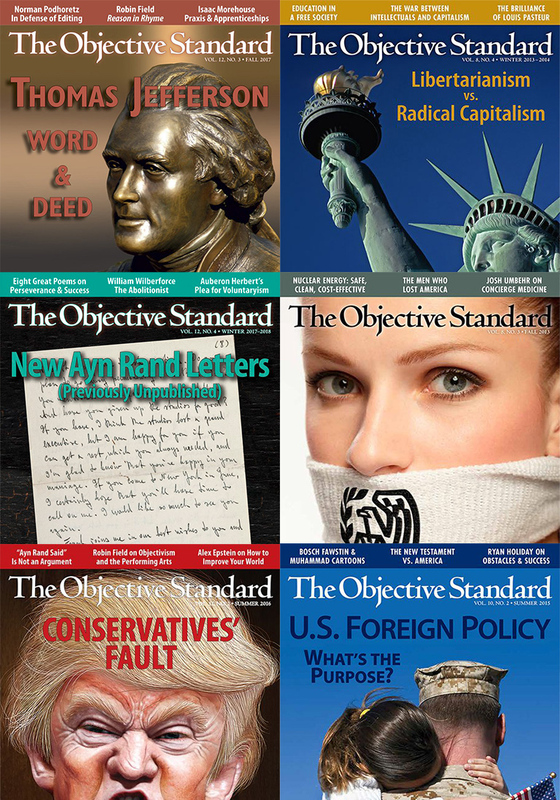 We at The Objective Standard specialize in clarifying and concretizing the principles of Objectivism (and rational philosophy in general) and applying them to the cultural and political issues of the day. To do so, however, we need financial support from people who understand the importance of what we do and want us to continue. Below is a letter I mailed last week to our friends, subscribers, and supporters about TOS’s mission and business model, and about why we need financial support over and above subscription revenues in order to do what we do. If you’ve not yet read the letter, please take a moment to read it now. And if you appreciate what TOS does and want us to continue reaching and moving minds, please make your most generous contribution today. I’m writing to ask for your help in fighting for your values. 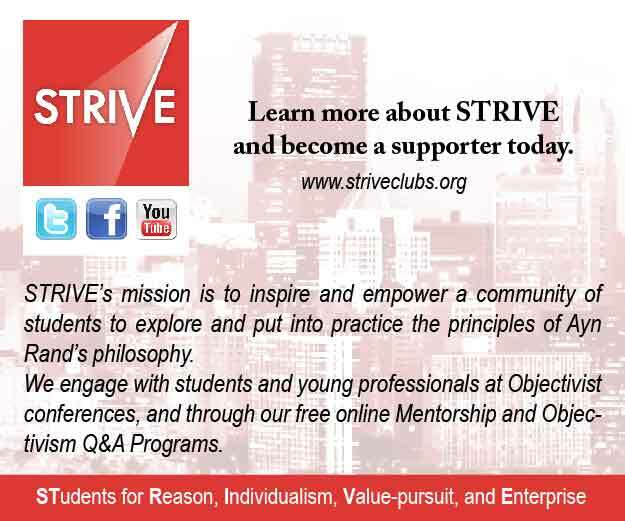 The Objective Standard fights for a culture of reason and freedom like no other organization does. TOS is the only organization that produces a steady stream of in-depth, top-quality articles concretizing, clarifying, and applying the principles of rational philosophy. Importantly, our articles don’t merely repeat Ayn Rand’s arguments, nor do we merely recommend her books. 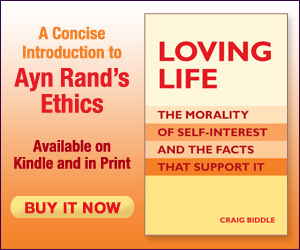 Tens of millions of people have read Rand’s works, but only a scant few have come to understand and embrace Objectivism. Why? A major aspect of the answer is that people have been steeped in a culture of subjectivism, mysticism, altruism, and collectivism all their lives; they have (to some extent) adopted these false creeds as true; thus they have (of necessity) compartmentalized their thinking and made compartmentalization part of their method of dealing with the world. Consequently, when they read Rand’s works, they say, in effect, “Hmm, that’s interesting . . .” —and then dismiss her ideas because “Everyone has an opinion about what’s true,” or “I like some of what she says but not the parts that conflict with my religion,” or the like. 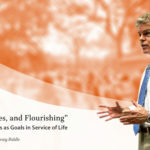 Repeating Rand’s arguments and promoting her books is not enough to reach and change minds; thus it’s not enough to achieve a culture of reason and freedom. If we want to achieve that goal, we have to do more. We have to meet people at their values and concerns, such as education, parenting, foreign policy, and the presidential race. We have to show them how the principles and methods of rational philosophy can help them to better understand the world, pursue their values, and protect their rights. We have to show them that such principles are grounded in and derived from perceptual reality. And we have to help them integrate their thinking with respect to these truths. This is what TOS does. 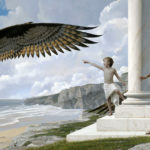 And, having done it for more than a decade, we have a philosophically integrated catalog of more than 500 articles on subjects ranging from the morality of capitalism, to the hierarchy of knowledge, to the evil of whitewashing Islam, to methods for getting more enjoyment from art you love. Because all the articles in our massive trove are written from an Objectivist perspective, when someone visits our website to read an article on a particular subject, he finds a seemingly endless array of additional articles applying principles of the same philosophy to issues spanning the spectrum of human concerns. Thus, if he is intrigued by the article he came for or anything else he sees, he can and likely will peruse our website, read some articles, and begin to see an ideological consistency and practicality that he’s never seen before. This is a beautiful thing. Such is the value of an Objectivist periodical and website with the clarity, depth, and breadth of TOS. 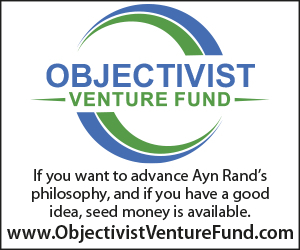 Our ever-expanding library of crystal-clear articles from an Objectivist perspective is unmatched in its capacity to help people understand Objectivism and apply its principles to their personal lives and the issues of the day. Of equal importance to our extensive and integrated offerings is the huge and ever-expanding audience we’re reaching with our ideas. In addition to reaching minds via distribution of our quarterly journal—which is delivered in print or electronic form to more than 800 college libraries (Harvard, Princeton, Stanford, Yale, etc.) as well as to more than 700 newsstands across North America (B&N, Chapters-Indigo, etc. )—we are reaching ever more minds via the booming traffic to our website, TOS Blog, and our social media pages. Traffic to our website now exceeds 77,000 visits per month, of which more than 64,000 are unique visitors; and monthly page views on our website now exceed 102,000. TOS’s followers on Facebook and Twitter now exceed 63,000—which is notable because social media is increasingly the means by which people find and share articles today. Our Facebook posts alone reach more than 640,000 people per month (that includes our followers and their followers); and the number of people who engage with our posts (i.e., “like,” comment, or share) exceeds 236,000 per month. In short, a lot of people are discovering TOS, and many are visiting our website and reading our articles. “I love The Objective Standard because it helps me orient my thinking, and consequently my perspective, on reality. Thank you very much.” —William N.
“I feel like I’ve just found a pot of gold.” —Ed P.
“The Objective Standard is one of my go-to sources of information when I have a question on a current event or issue.” —Ben H.
“I’d like to personally thank you for all I’ve learned from you over the years and for the better grasp I have of many complicated issues. 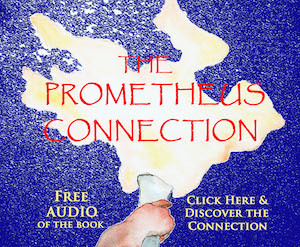 For that many, many thanks.” —Christine P.
“I so wish that I had access to this material as a young adult. It could possibly have helped direct me to a more successful and fulfilling road.” —Todd M.
“TOS stands in defense of all that is beautiful about human civilization. On the rare occasions that I disagree with a certain article, there is still much to think about. Thank you!” —Ketan K.
That last comment, from Ketan K., points to a particularly important truth. The value of TOS is not rationally determined by whether anyone agrees with everything we publish. For an independent thinker, full agreement with a journal covering such a vast array of subjects is next to impossible. I—the editor and publisher of TOS—do not agree with every word we publish. Neither, I suspect, do you. In assessing the value of TOS, the question is: What is the importance of an organization that (a) publishes a steady stream of crystal-clear, fact-based, well-reasoned, life-serving articles on the crucial issues and concerns of the day—and (b) disseminates these articles to countless people who otherwise would not read such material? I submit that by this standard, The Objective Standard is an enormous value to anyone who seeks to establish and maintain a culture of reason, egoism, individualism, and freedom. Unfortunately, relatively few people seek to establish or maintain such a culture. And this is why we need your help. Like most intellectual publications, TOS’s revenues do not cover its expenses, so we rely on support from people who see the value of what we do. Whereas Reason magazine relies on donations from libertarians, National Review relies on donations from conservatives, and Democracy Journal relies on donations from socialists—The Objective Standard relies on donations from people like you, who recognize the crucial importance of a publication that elucidates and applies the principles of Objectivism. Although many intellectual publications opt for a “nonprofit” status (as do Reason and Democracy Journal), TOS does not. Even though we rely on donations, we choose to be a for-profit organization (as does National Review) for the following reasons. Nonprofit organizations are severely limited in what they can say and advocate politically, and they are subject to extensive and time-consuming government “oversight” and red tape. As an organization whose purpose is to speak plainly and forthrightly about philosophical, cultural, and political matters, TOS cannot fulfill its mission properly if we are not fully free to speak our minds about political matters. And, as for the bureaucrats’ meddling, we’d rather spend our time and energy engaging with rational minds about life-serving values than engaging with bureaucrats to satisfy their power lust. Apart from that difference, TOS and nonprofit organizations function in essentially the same way. Contrary to what the terminology implies, nonprofits do make profits, but rather than distribute them to shareholders, which nonprofits don’t have, they use their profits to expand operations, purchase new assets, hire more employees, increase salaries, and so on. 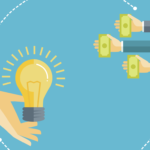 Likewise, both TOS and nonprofits must generate revenue in order to operate and grow. We must spend our revenue efficiently and effectively in order to honor our mission and maintain integrity. And we must produce high-value goods that our customers and donors see as worthy of support. Whether an organization is worthy of support, and how much support it deserves, is a matter of the trader principle. Does support for the organization amount to an exchange of value for value? If so, are the values commensurate? Are both sides giving with respect to their values and the values received? 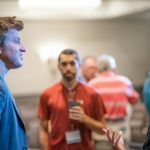 Ours is a specialized society, and TOS’s specialization is meeting people at their values and helping them induce and apply the principles of rational philosophy. While other businesses produce values that appeal to many eager paying customers (iPhones, petroleum, hamburgers, massages, etc. 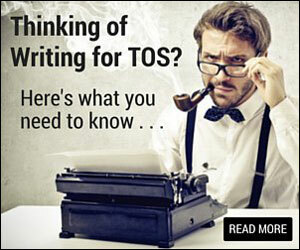 ), TOS produces articles that challenge people’s worldviews to the core. We speak honestly and forthrightly about controversial matters, and our arguments and prescriptions clash with practically everything people have learned from the sandbox through Sunday school through grade school and college. And although what we say draws substantial traffic to our website, it does not yet translate into sufficient revenue to pay our bills. This fact further highlights the vital importance of our work in today’s context. If huge numbers of people wanted and were willing to pay for articles in support of reason, egoism, and capitalism, we wouldn’t need to produce them. We could simply point to Rand’s work and say, “Read this.” But that is not the case. And so we need your help to continue doing what we do. “It is my pleasure to donate to TOS. As a long-time Objectivist, I’ve seen Objectivist magazines and brochures come and go. Yours, happily, is still very much alive—and its quality is of the highest rank. Although I know I will not live to see cultural change blossom fully in my lifetime, I am with my donations ‘fighting for the future’—the future of my children and grandchildren and their progeny.” —Bill B. “I contribute with pleasure and will continue to do so. The Objective Standard is a great publication—the only one I am aware of that discusses important philosophical issues with amazing depth and clarity and in a way that is accessible to people who don’t have academic experience in philosophy. I enjoy reading it very much and am grateful for your work.” —Boris T.
“The Objective Standard combines the highest level of quality with the deepest level of philosophical analysis. That’s why I support it.” —Craig F.
“My experience with book publishing has made me aware of the terrible economics of most publishing efforts, so I’m happy to help keep a very valuable Objectivist publication in operation.” —Pete M.
“I’m busy working on my retirement and not terribly active as a promoter of freedom these days; but fortunately one of the things I can do from time to time is assist active organizations with their funding. I think of it as an investment in my future and the future of my children. 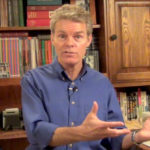 Keep up the good work, and I’ll help as I can.” —Rick T.
“TOS is the best value, by far, per dollar in the fight for freedom.” —Ray N.
“Your publication is of great value to me and I will contribute as I can.” —Judy D.
“You are doing very important work, which I am happy to support. 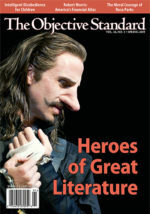 I have been enjoying my subscription immensely, and can’t wait to read the next issue.” —Genie L.
“Very happy to help . . . it is but a small down payment on all the value I receive from your work.” —John C.
“Money well spent. Where would we be without men such as you who do the heavy lifting in the fight against the statists? 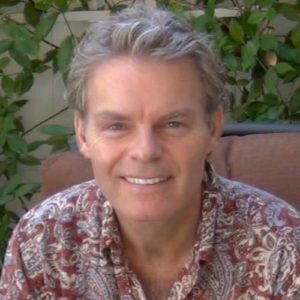 In dire straights, I think.” —David H.
“Your articles, videos, and TOS are very well done and I suspect fill a big gap in the promulgation of Objectivism. And with a 25-year-old daughter, this is a very ‘practical’ and selfish donation.” —James H.
If, like these donors, you see that TOS is fighting relentlessly and effectively for your values, your future, and those of your children, grandchildren, and loved ones in general, please make a donation to help us continue and expand our work. TOS’s total expenses for 2016 are $210,000. That includes all operating expenses, my salary, payments to writers, subcontractors’ fees, website maintenance, advertising, etc. (Yes, TOS is that lean.) Our revenues will cover about 70 percent of that, leaving a deficit of $63,000. This is what we need to make up by way of donations. Anything we receive over and above that figure is, of course, welcome and will enable us to produce even more, expand even faster, and reach even more minds. But, at a bare minimum, to continue our work, we must close that gap. I hope you will contribute as generously as you can today. In return, I promise that TOS will continue fighting for your values with everything at our disposal. Will you help TOS fight for your values?